Bundle B2B is a SaaS B2B application crafted by the award-winning Commerce agency Silk Software. It integrates seamlessly with BigCommerce, the world’s leading SaaS eCommerce platform for established and rapidly growing businesses. The app’s capabilities can be leveraged by businesses of all types and sizes who are looking for enterprise level B2B functions. With core features that allow users to easily manage front-end and back-end B2B processes and an accessible API, Bundle B2B can be utilized to fit the needs of any growing B2B Commerce business. For more info, visit www.BundleB2B.com. View the app on the BigCommerce Marketplace. 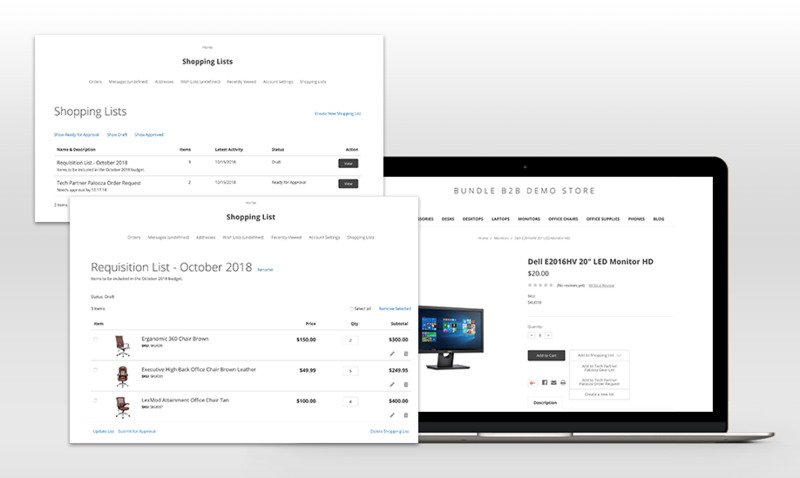 We are glad to see that Bundle has filled the SaaS B2B market gap by extending the native capabilities of BigCommerce. 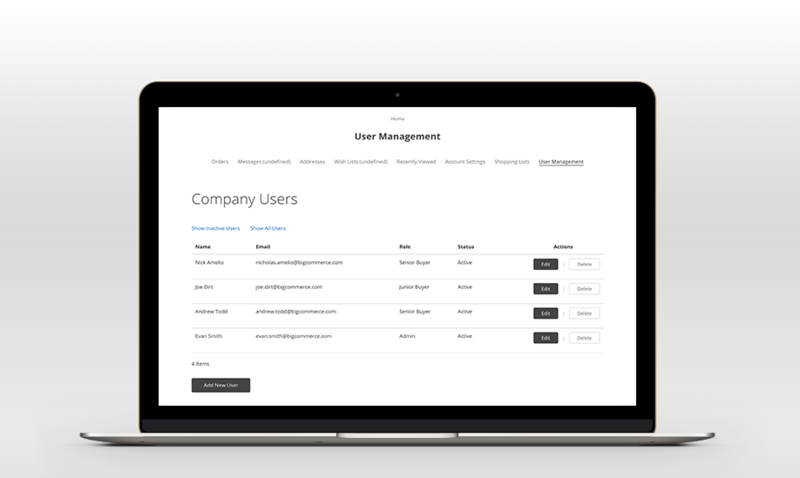 Customers can manage their corporate accounts and set up multiple tiers of buyers who have specific roles and permissions. Personalize the B2B customer shopping experience through the ability to assign customer catalogs and special pricing to specific customer segments. Silk is a highly respected BigCommerce Elite Partner with over 10 years of experience in eCommerce design, development and integration. Let us help scale your online business by leveraging the BigCommerce platform to its fullest capability.